After School Art Classes are designed to increase skill and knowledge to propel mastery of materials and advanced concepts. Students are encouraged to study art history and explore new ways to express their ideas, emotions, and experiences through visual arts. Assignments are tailored for each individual based on their intentions and goals of the class. Adult Classes are fashioned for students of all skill levels. Our ACAC curriculum encourages adult students to unlock their creative potential and unleash their imaginations. Assignments are tailored for each individual based on their intentions and goals of the class. We strive to guide students to produce artwork that resonates with their soul by challenging their ideas and beliefs to help transform the way students think and feel about our world. Students explore a variety of mediums including; acrylic, oil, watercolor, pastel, charcoal, mixed media and other materials. 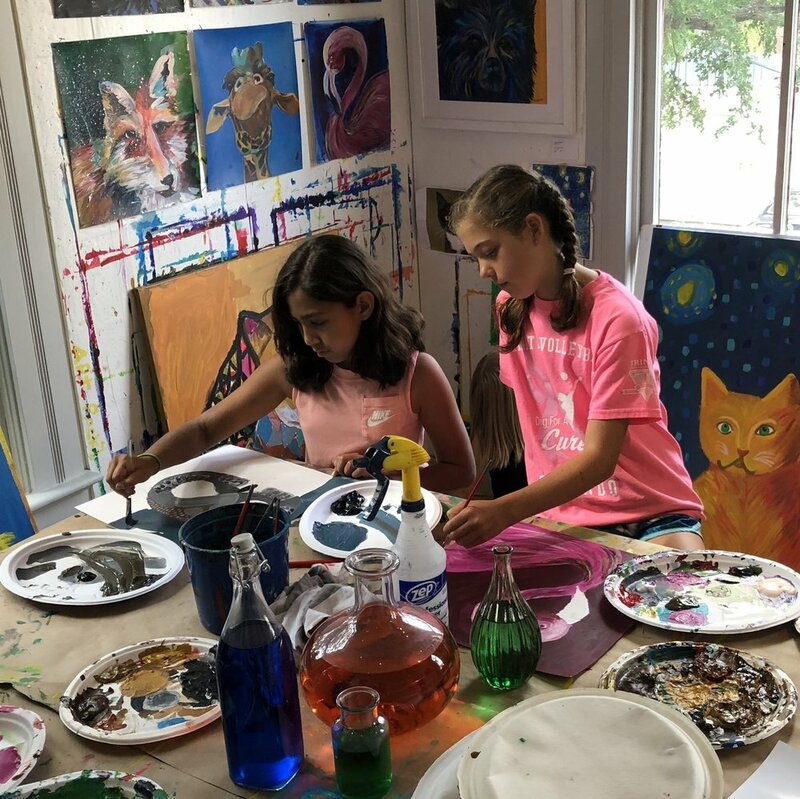 Portfolio art classes are designed for any creative student who intends to produce a collection of their best artwork to showcase how their skills and technique have developed over a period of time. Building a portfolio that demonstrates creativity, personality, abilities and commitment may be daunting. We’re here to help guide portfolio students through a series of one-on-one art classes that are especially relevant for creatives needing a body of work to meet the requirements for an application to Magnet Schools, Universities, Art Schools or Professional Art Careers. We recommend scheduling sessions in a series of at least 3 months, once or twice a week. 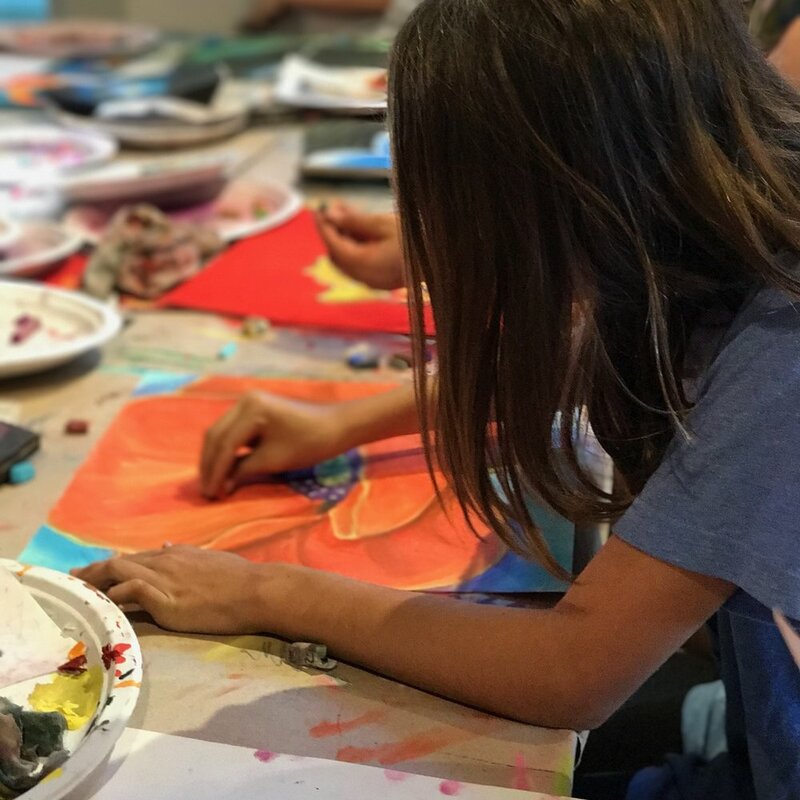 Students of all ages explore an array of mediums including; acrylic paint, watercolor, clay, pen & ink, charcoal, pastels and more. Students learn about art history, contemporary art and life. Homeschoolers are welcome to gather a group of fellow homeschoolers to create on a weekly basis or whenever their schedules align. If you have a group of people wanting to create, please contact us about discounted tuition and scheduling. A guided one-on-one art session for children 2 to 4 years old. 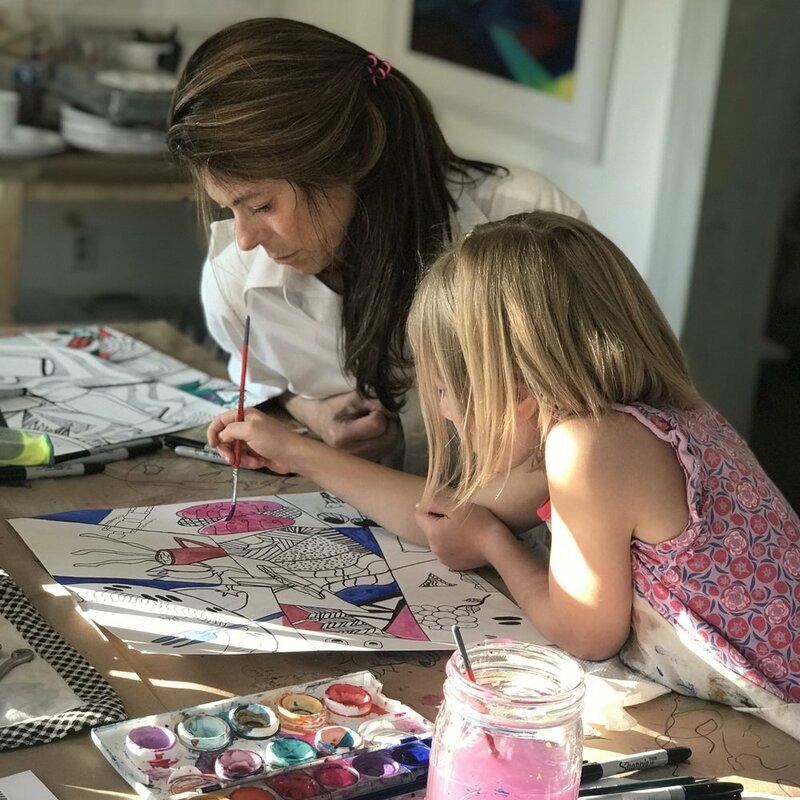 As children develop their inner resources, they experience a hand's on art activity that sets a sturdy foundation built on self-esteem and the ability to relate positively with others. Children practice hand-eye coordination, motor skills, imaginative expression and creative thinking through painting, drawing and sculpture. Experiencing for the first time, how to hold, use, wash & repeat - they explore their environment, discover their independent nature, and develop emotional regulation. First Art supports the development of sensorimotor, perceptual and cognitive skills. For Business corporations, CEO’s, leaders, small groups and more. Team building experiences ignite creativity and empower your teammates. 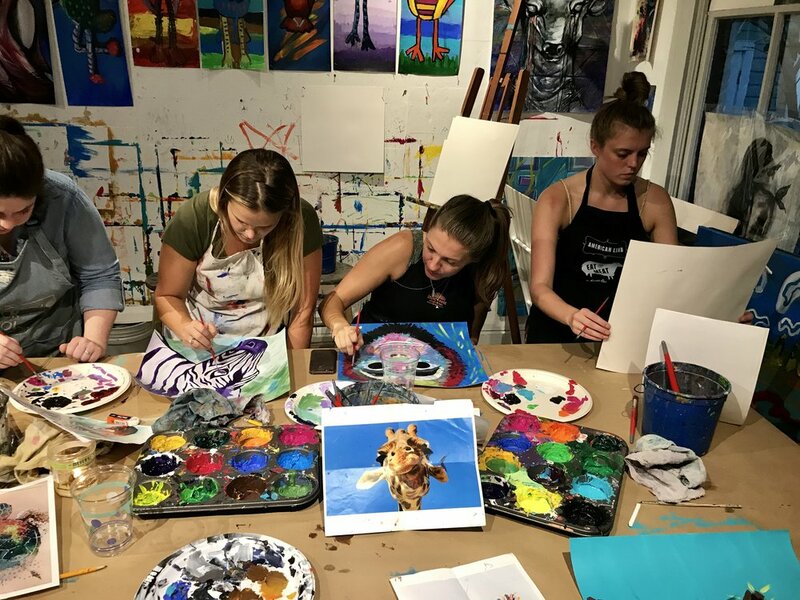 As co-workers collaborate on various art project they are pushed to discover BIG ideas to bring success to your business and bring your team closer together. Create your own Art Experience. Let’s discuss your purpose, goals, themes, wishes and all that jazz. 2 hour sessions | Custom Dates | $500/12 people, prices may vary depending on amount of people and materials. Sunday Classes are open to students of all ages, kids, adults, families or couples. Students work with a variety of mediums and learn basic techniques to produce masterpieces. 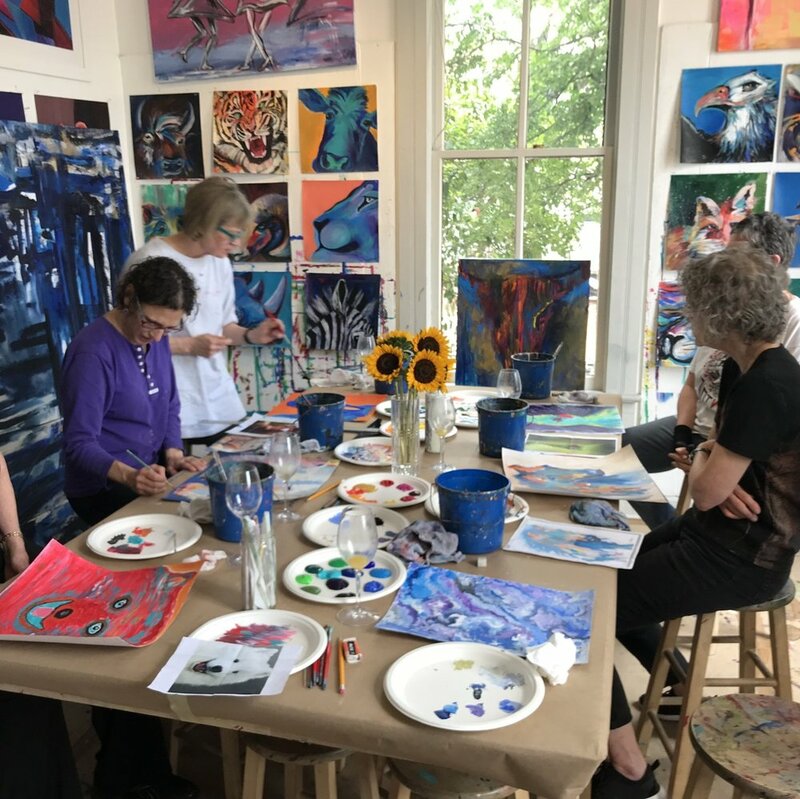 We strive to unlock your potential by building self-esteem and empowering self-discovery using art as the vehicle that ignites your creativity and adds dimension and balance to your life.